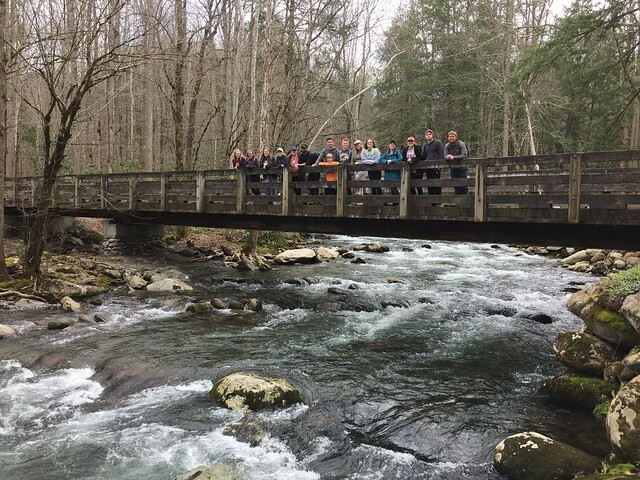 We’re back from H2O’s Spring Break trip to the Great Smoky Mountains! 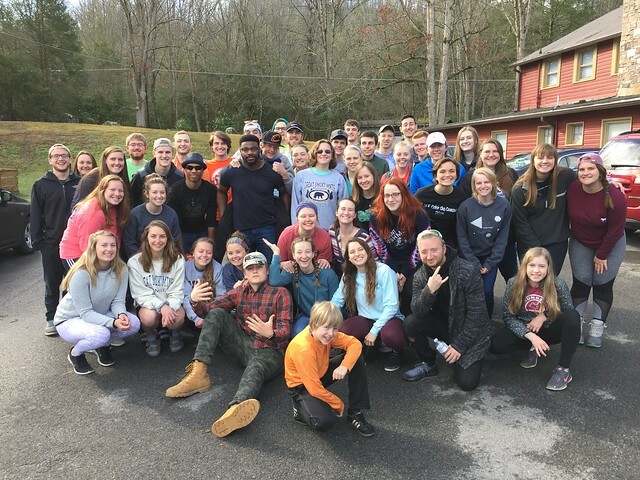 Fifty-four of us traveled from Ohio to Tennessee to learn and practice spiritual disciplines in the wilderness, like Moses, and Elijah, and John the Baptist, and countless others before us. One of the fringe benefits of the trip was a flash-forward to Spring, getting a sneak preview of the climate conditions that should be filtering into Ohio over the course of the next month. The grass was noticeably greener. 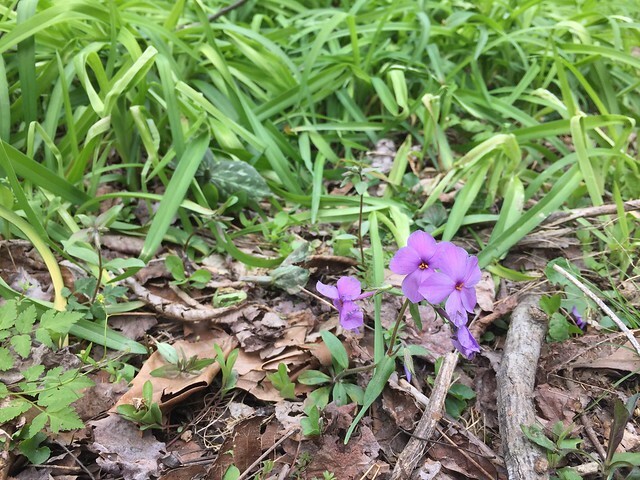 Wildflowers were blooming. The sunlight and air temperatures even made it comfortable to walk around in short sleeves a couple of afternoons! And just as the natural world came to life, so did our spiritual lives, as we practiced the disciplines of reading the Bible, praying, solitude, community, rest, serving, and worship. 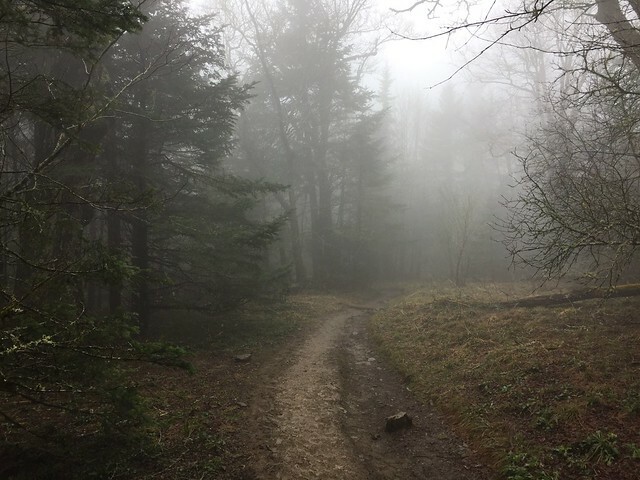 One of my most memorable experiences during our week in the Great Smoky Mountains was a 9-mile hike from Newfound Gap to Charlie’s Bunion and back. We got to see why they call them the “Smoky” Mountains, but we also got some clear views of some pretty dramatic vistas — all while talking about the intricacies of our lives and working through the things we were learning during the week. We spent an hour each day together in worship and Biblical reflection. In the middle part of each day, everyone was encouraged to seek God individually or in unstructured community time. And then at the end of the afternoon, people met with a handful of others to process their experiences with the spiritual disciplines. Over the course of the week, one young woman decided to get baptized (in a very cold mountain stream! ), and another young man made a decision to start following Jesus. It was everything our leadership team was praying the week would be — and then some! 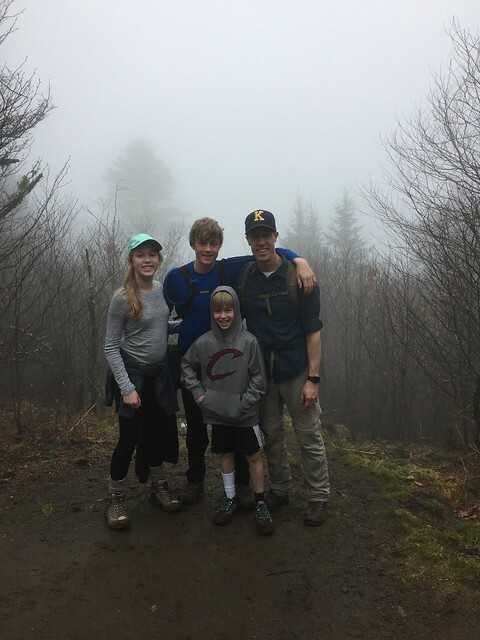 Of everything that happened in the Great Smoky Mountains, I’d have to say that one of the most encouraging developments for me, personally, was to see the way that God was made real to my kids and through my kids. 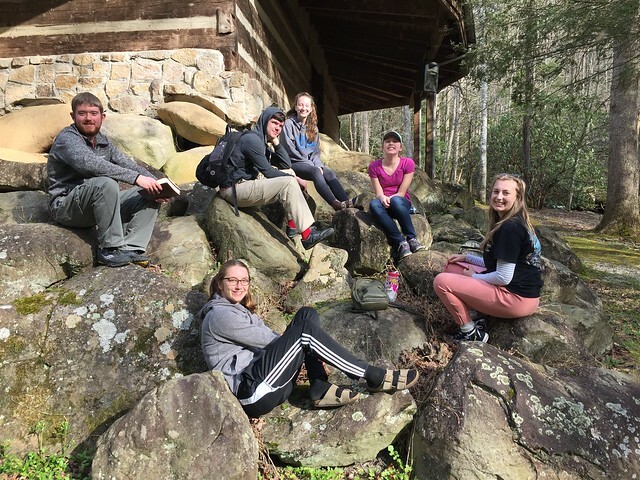 They practiced the spiritual disciplines along with the college students, and the experiences seemed to affect them in a meaningful way. But it wasn’t just limited to them having their “kids version” of the week. They took the things they were learning and applied them with everyone else who was there for the week. They served others. They prayed for others. They worshiped with others. They offered emotional support and practical help for others. And they had so much fun, being welcomed into full-fledged community. I think we’re all glad to be back in Kent now, sleeping in our own beds and enjoying reliable internet access and such — but I pray that the week left an imprint on each life that will carry into everyday life here, and beyond. At the very least, I got some good pictures! For anyone interested, I’ve created an online album with all of my best pictures from the week in downloadable form. This entry was posted in Children, Church, Family, God, H2O Kent, Ministry, Photography, Prayer, Recreation, The Bible, Travel. Bookmark the permalink.